The food-energy-water (FEW) nexus panel will provide a venue to discuss state-of-the-art FEW nexus research approaches and associated opportunities and challenges in terms of framing FEW nexus problems, data, modeling, interdisciplinary nature, and policy implications. Ali Mirchi is a Research Assistant Professor at the Department of Civil Engineering and Center for Environmental Resource Management at the University of Texas at El Paso. He holds a Ph.D. in Civil Engineering from Michigan Technological University, U.S.A., a Master’s in Water Resources Engineering from Lund University, Sweden, and a B.S. in Civil/Water Engineering from the University of Tabriz, Iran. Dr. Mirchi’s work primarily focuses on the application of systems thinking, systems analysis techniques, simulation, and optimization modeling to advance understanding of water resources and environmental management problems at different scales, informing resource management frameworks and policies that promote sustainability. 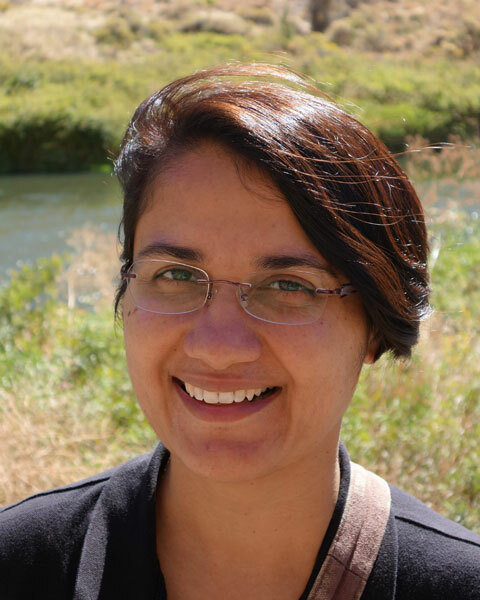 Bio: Ali Mirchi is a Research Assistant Professor at the Department of Civil Engineering and Center for Environmental Resource Management at the University of Texas at El Paso. He holds a Ph.D. in Civil Engineering from Michigan Technological University, U.S.A., a Master’s in Water Resources Engineering from Lund University, Sweden, and a B.S. in Civil/Water Engineering from the University of Tabriz, Iran. Dr. Mirchi’s work primarily focuses on the application of systems thinking, systems analysis techniques, simulation, and optimization modeling to advance understanding of water resources and environmental management problems at different scales, informing resource management frameworks and policies that promote sustainability. David Watkins, Jr., PhD, PE, is Professor of Civil and Environmental Engineering at Michigan Tech University. Dr. Watkins' teaching interests include hydrologic and hydraulic engineering, water and environmental systems analysis, and international service learning. His research interests include sustainable development and the application of decision theory and information technology to environmental and water resources problems in both the developing and industrialized world. He serves as a faculty advisor to the Michigan Tech student chapter of Engineers Without Borders-USA and co-coordinator of the Peace Corps Master’s International Program in civil and environmental engineering. He also directs an international capstone design program in Panama. Dr. Watkins is active in the ASCE/EWRI International Council, Environmental & Water Resource Systems Committee, and River Basin Planning, Policy, and Operations Committee. Bio: David Watkins, Jr., PhD, PE, is Professor of Civil and Environmental Engineering at Michigan Tech University. Dr. Watkins' teaching interests include hydrologic and hydraulic engineering, water and environmental systems analysis, and international service learning. His research interests include sustainable development and the application of decision theory and information technology to environmental and water resources problems in both the developing and industrialized world. He serves as a faculty advisor to the Michigan Tech student chapter of Engineers Without Borders-USA and co-coordinator of the Peace Corps Master’s International Program in civil and environmental engineering. He also directs an international capstone design program in Panama. Dr. Watkins is active in the ASCE/EWRI International Council, Environmental & Water Resource Systems Committee, and River Basin Planning, Policy, and Operations Committee.